The title of this piece is 'Age is Beauty'. 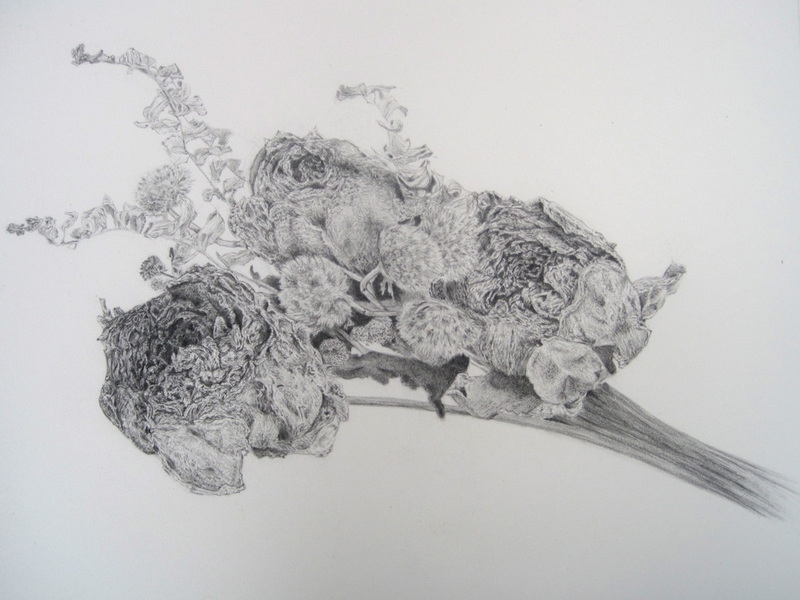 The drawing highlights the beauty of dried flowers and stands in opposition of our youth oriented culture. This piece is the first in a series I have titled the Fibonacci Sequence. 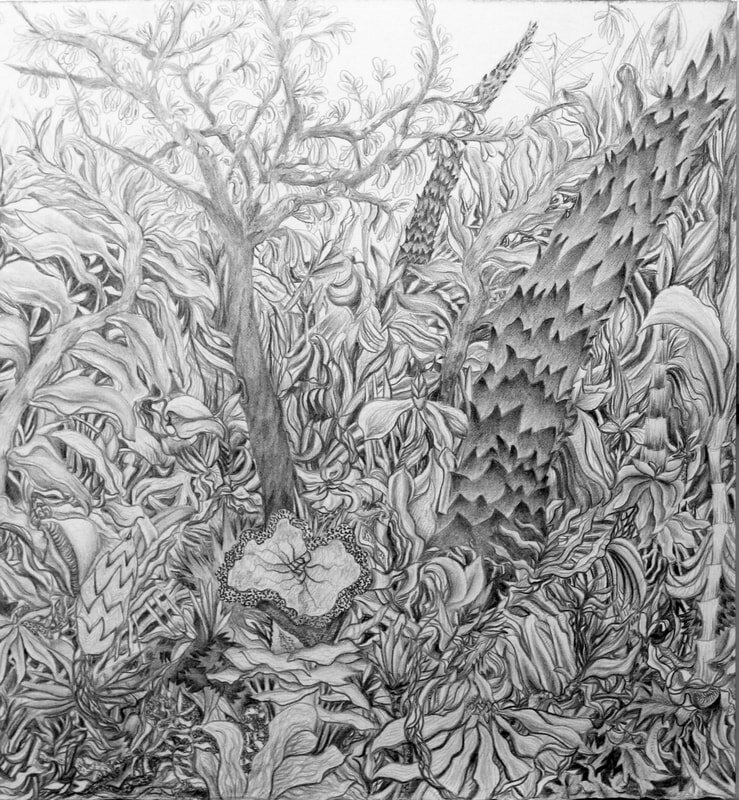 The drawings way of expanding and growing naturally represents the infinity of nature. I hope to continue this series well into the future, steady expanding the sequence as it would naturally. 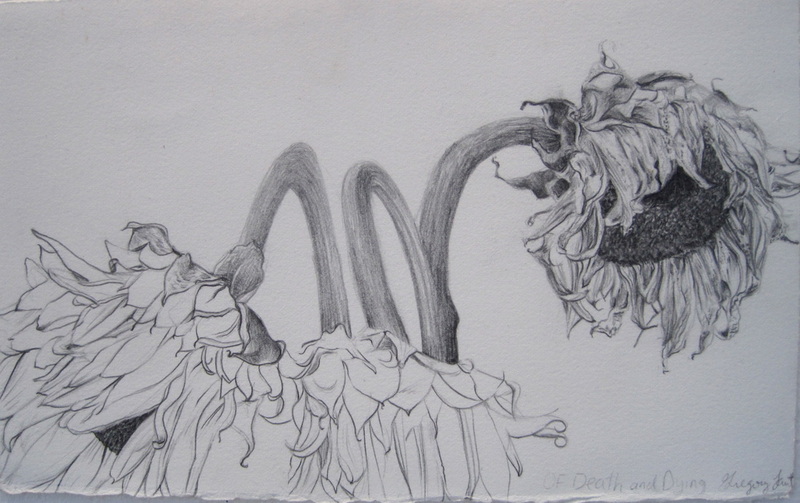 'Of Death and Dying' took inspiration from Van Gogh's still life of sunflowers. 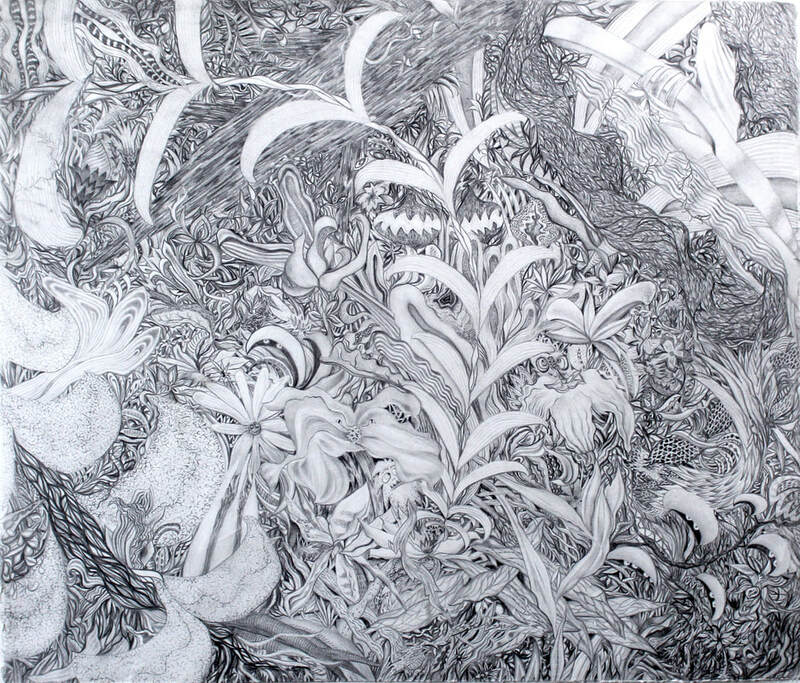 In his painting he represents the full spectrum of the life cycle from beginning to end. My drawing instead rather cynically shows only the slow, inevitable decline of age.